Valentine's Day is coming up! 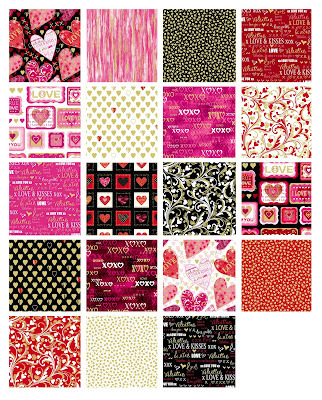 Share your love year round with our Cherish collection from Kanvas. 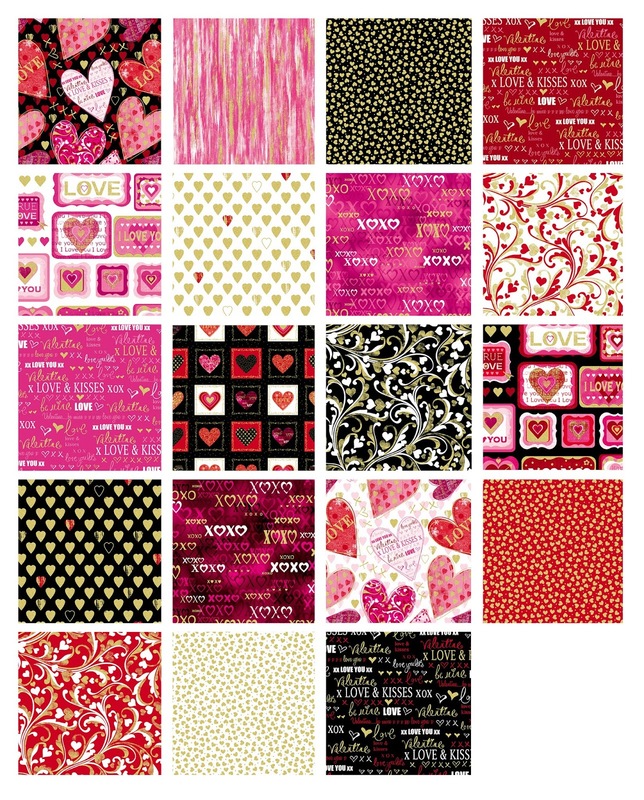 These heart-themed prints are packed with affection and enhanced with metallic gold. Use them for your favorite valentine! 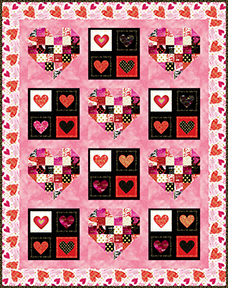 Stitch a cuddly lap quilt full of love with our Hearts A Plenty free quilt pattern.